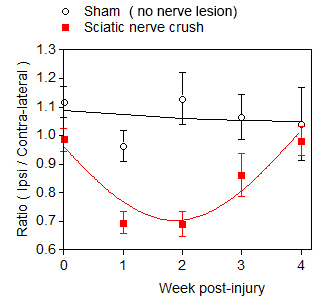 Sciatic nerve crush is one of the most common models of peripheral nerve injury in rodents. 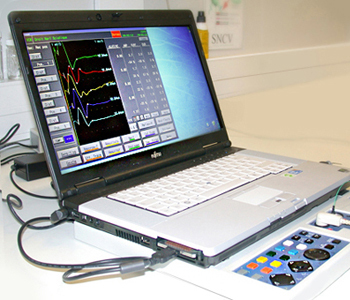 Nerve damage results in rapid disruption of neuromuscular function which can be evidenced by electromyography measurement, gait analysis and histomorphometry of sciatic nerve fibers. This model is used to assess the neuro-regenerative potential of test compounds (recovery of nerve function and axonal regeneration). 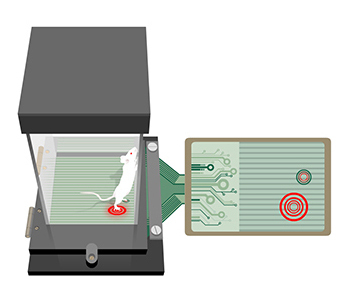 Neuro-regenerative drugs are usually tested in this model but other treatments could also be considered. Please feel free to contact us to discuss the feasibility of your study. 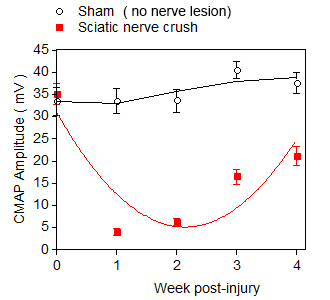 Full recovery in walking track analysis is observed within 2-3 weeks following sciatic nerve crush injury in mouse, and this despite poor electromyography and histomorphometry results. Using the dynamic weight bearing technique, a dramatic gait dysfunction is still observed far beyond full recovery in walking track analysis. 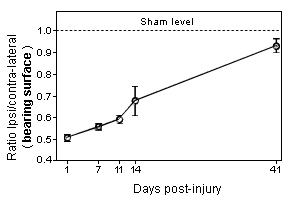 Time course of loss and recovery in Compound Muscle Action Potential (CMAP) following sciatic nerve crush. Nerve lesion-induced asymmetric weight bearing followed by progressive normalization of weight distribution. 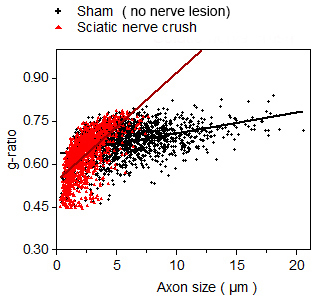 Graphs showing gait dysfunction as assessed by the measure of weight distribution on the four limbs of the mouse following sciatic nerve crush. Note that the dysfunction remains very pronounced 2 weeks after the nerve crush. 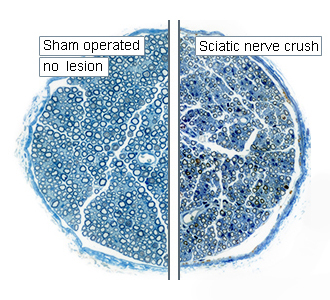 Comparative photomicrograph of tibial nerve sections showing the status of nerve fibers in Sham operated and sciatic nerve crush specimens at 4 weeks post-injury. 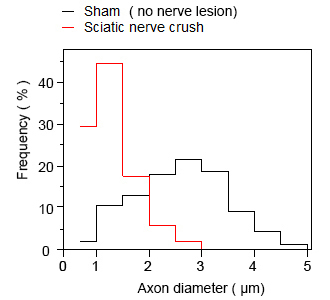 4 weeks after the lesion, axons with diameter ≥ 2.5 µm are not fully regenerated yet in lesioned nerve. Schematic illustration of measure of imbalance weight distribution in freely moving animal.